Imagine growing up in a family where one day your parents tell you that they love you, and the next day they tell you that they hate you, and that you are ugly and bad. This results in serious mental emotional trauma and psychological disturbances in your personality. There are many people who experience this kind of trauma for long periods of their lives. It is unimaginable to me - that someone could be exposed to such torture. On a larger scale, all of humanity is treated in the same way by our leaders and the global elite who run the world. It is critical to recognise how humanity has been manipulated and lied to for millennia by the royal-political elite. Because of these lies and deceptions, humanity is deeply scarred, and traumatised and divided. And because the lies are cunningly mixed in with pinches of truth throughout all our lives, and all of history, it becomes very difficult to separate the lies from the truth. This is a perfect tool of psychological warfare and control over the people. While these may seem as deeply depressing times and very few can imagine a way out of this mess, it is critical that we recognise these actions as the undeniable behaviour of those who are in a deep state of panic and fear. The global elite are panicking - they know that they are in deep trouble - that their time is almost up - that the new age of enlightenment and higher consciousness is upon us - and that they cannot fight the unifying resonance of the consciousness field of creation, or as some may call it, GOD. In November 2017, the first UBUNTU One Small Town was initiated by Mayor Ron Higgins in North Frontenac, Canada, and immediately captured the imagination of hundreds of thousands of people all over the world. Mayor Higgins is on a roll - receiving thousands of emails of support, and even contact from investors who want to invest in North Frontenac because of the attractive investment opportunity. So, let us think beautiful thoughts, speak beautiful words, share beautiful moments, and dream beautiful dreams of prosperity, abundance, and true freedom for all of humanity. 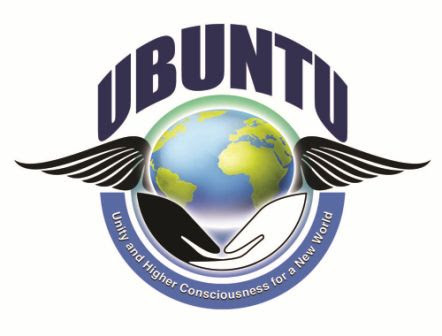 Let 2018 be the year in which UBUNTU becomes the unifying resonance for everyone. You can update your details here.